Bring the beans, water and bouillon cubes to a boil. 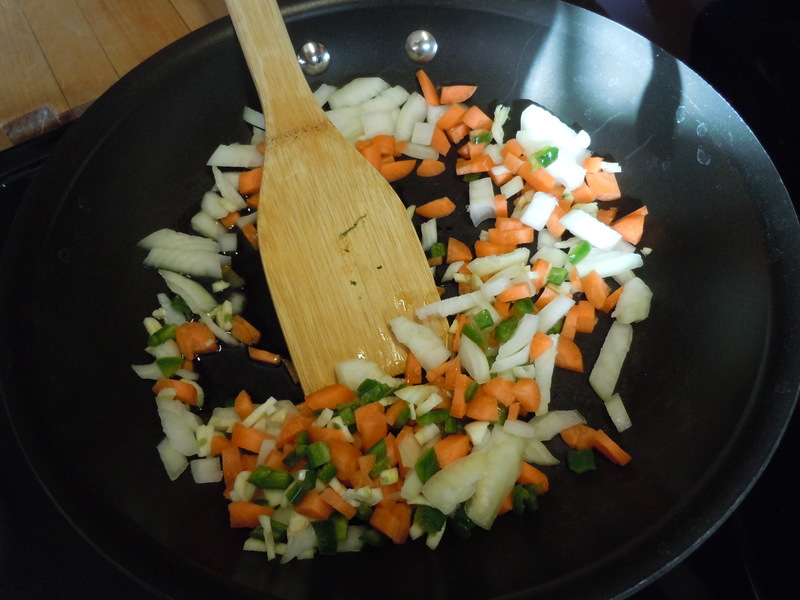 Reduce heat to medium low and continue to cook while you prepared the vegetables. 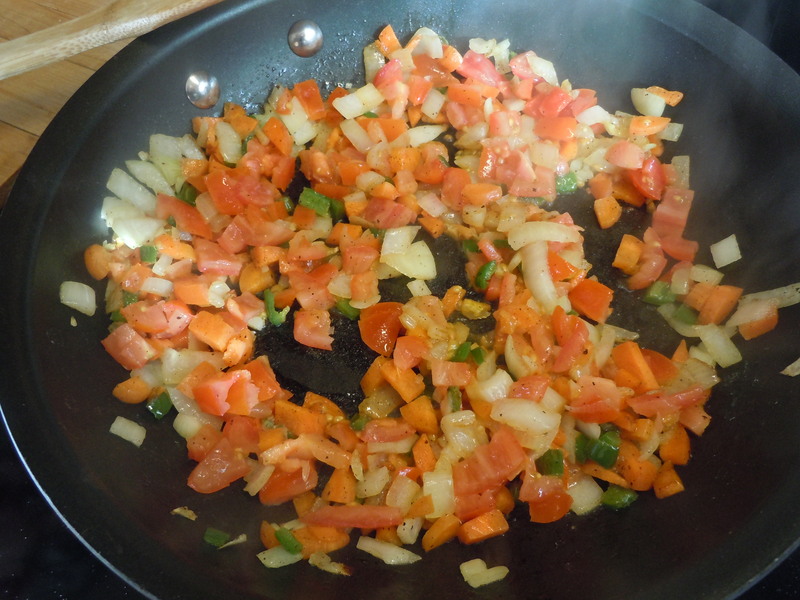 Saute the onion, garlic, carrot and jalapeno in the olive oil until lightly browned. 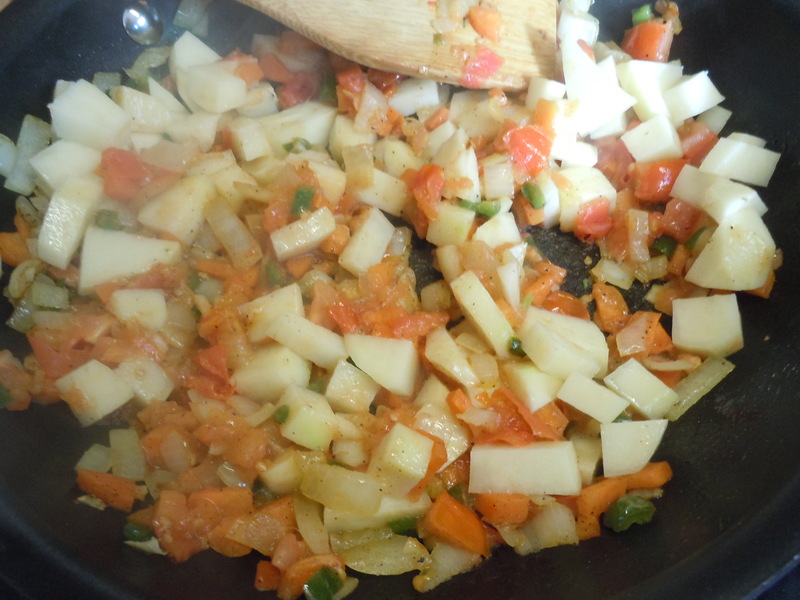 Add the tomatoes and stir well. 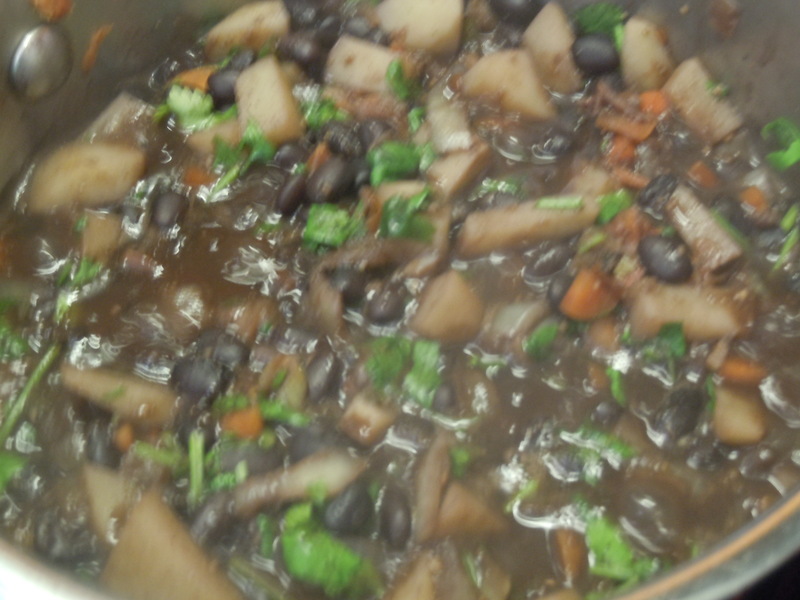 Add the potatoes and cook for two minutes stirring. Add the spices and cilantro. 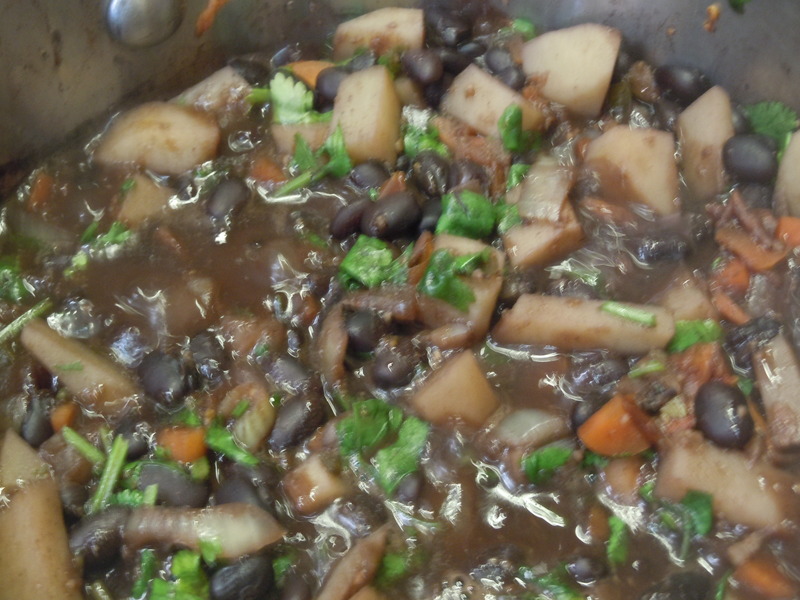 Stir into the beans and continue to simmer until the beans are done, about 40 minutes. 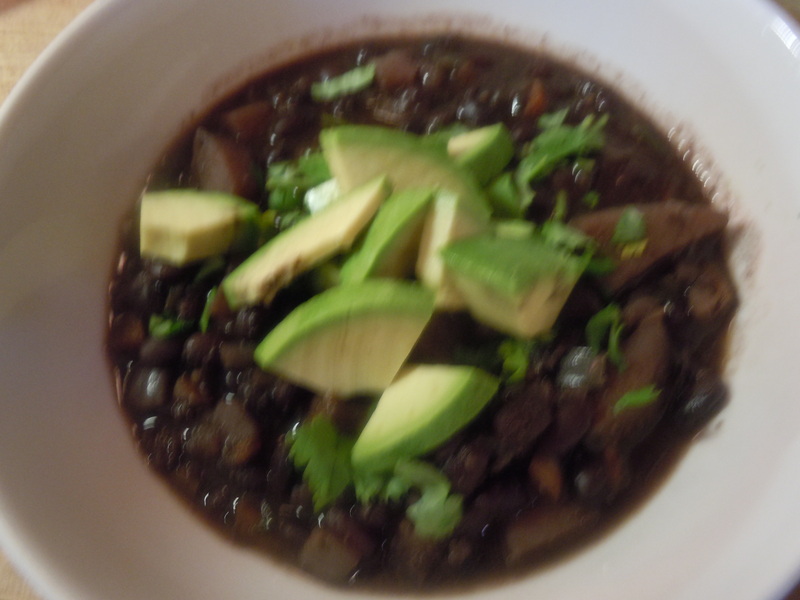 Serve topped with chopped avocado, additional cilantro and lime juice. Goes well with tortilla chips. That soup looks great.. even without a hambone in it! It was good! 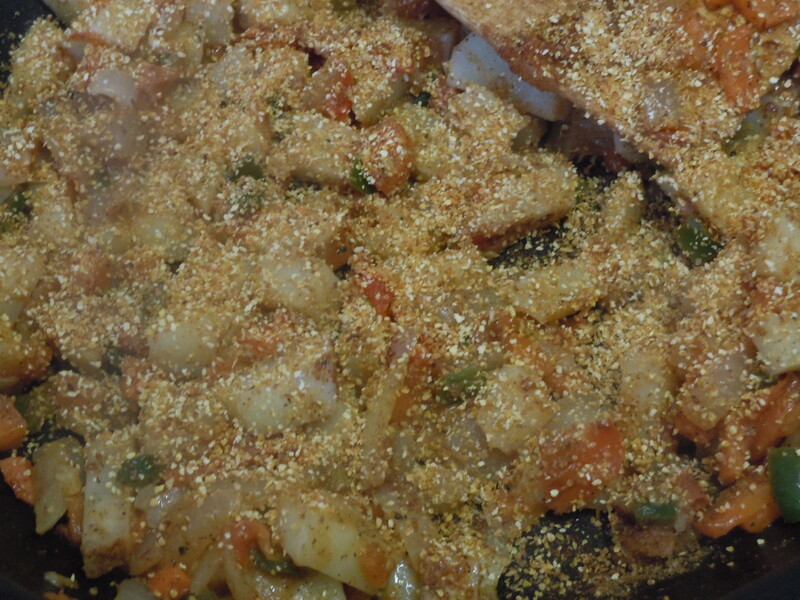 Today I will use the leftovers to make something else…maybe tamales? I think our snow is headed your way!